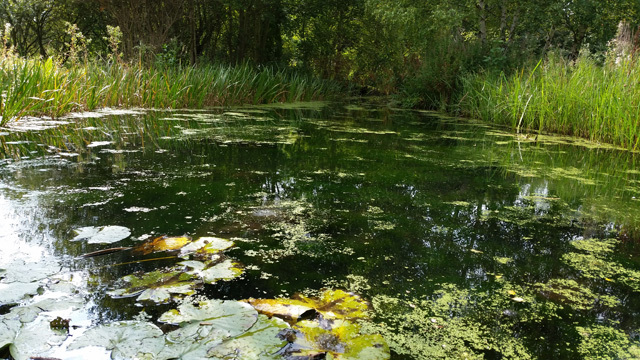 A day out with a bunch of bloggers, a free play with the new Samsung Galaxy S5 phone, a fantastic informative tour around a stunning nature reserve and a scrumptious lunch to boot! 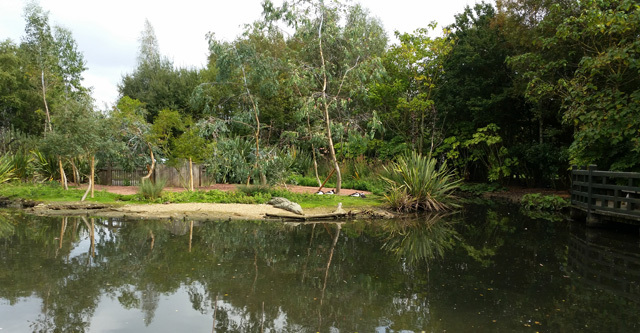 Last Saturday, Three Mobile and Arena Media asked me to come on an outing to the London Wetland Centre to test out Three’s Samsung Galaxy S5 mobile. I jumped at the chance to see another nature reserve that I hadn’t been to yet and was interested to test out the quality of a decent smartphone camera. Clarity of stationary objects on the S5 was very good. Even shooting through wire the S5 could focus reasonably well. Something many camera would struggle with. However, when an object was moving, if you were shooting with a single shot, the focus wasn’t great. We were guided around the London Wetland Centre by a very knowledgable guide named Phillip, who has been volunteering there for many years. He could easily name a bird that he heard at any given point and could spot the tiniest pieces of wildlife that most people wouldn’t recognise. The array of birds were amazing, from weird long necked Indian Runner Ducks, to the colourful Hawaiian Goose and endangered Laysan Duck. We tour ended where the otters were being fed, giving us the opportunity to test how well the S5 could shoot these little fast creatures. Again, my skills with the phone weren’t great and I didn’t get any good shots on the phone, but I did manage a few on my DSLR. Three Mobile then took us to Wildwood Kitchen for a late lunch and it was the perfect way to test out some food photography on the S5 and indulge in a lovely meal. I had the bruschetta as an entree, the chicken as the main and the refreshing mint lemonade topped it off! Incredible fresh flavours all around in a stunning setting by a lake in Barnes. So, how did the Samsung Galaxy S5 go? Overall I enjoyed working with the phone, tweeting and checking email etc. was a pleasant experience, with a high quality large screen and very clean crisp fonts used (can you tell I’m a designer since I care about that stuff?). The S5 provides large file sizes and quality that would compete with many snapshot cameras. When it focuses well, the colours and clarity are great. I would say that like any smartphone or camera, you do need to practise a lot, get used to it and be patient. I am so used to using a SLR camera that I struggled with the focusing and composing from afar, as opposed to a viewfinder. I am also used to a more chunky body to help keep my hands stable for photographs, hence why many of the smartphone ones are a bit out of focus. I think if I was going to upgrade my snapshot camera I would definitely consider a smartphone with a decent camera like the Samsung Galaxy S5. It’s much smaller than my SLR and much lighter than my snapshot camera. I believe with practise it could take photographs better than my snapshot camera. There were many modes that came with the camera on the S5 and if I’d had more time and experience with the smartphone I’m sure the modes would have helped. The photographs in this post have only being slightly cropped, otherwise no editing has been done on them at all, to show you the raw quality of the S5 camera. I haven’t ever had an iPhone, but I’d be interested to see how it would compare to the S5. I seriously think that if you’re a blogger or a small business wanting to take good photographs for your website then the S5 would be great. And that is something I would have never said before last weekend, being a bit of a photography geek. I think once you get comfortable with your equipment, good photographs come from good composing and light, you don’t need the most expensive or high quality equipment if you’re not printing large images or selling them. If you want to find out more about the Samsung Galaxy S5 smartphone, check out http://www.three.co.uk/Discover/Devices/Samsung/Galaxy_S5. Many thanks to Three Mobile and Arena Media for a great day out of the hustle and bustle of London!